Objective: Jesus is a gentle Shepherd. How do shepherds take care of sheep? What kind of shepherd is Jesus? How would a gentle shepherd act? Psalm 23 says that there is no reason to want anything. Why? How does it make you feel knowing that the Lord is your shepherd? 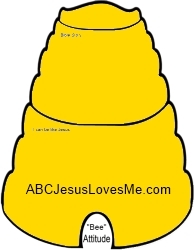 Verse: Psalm 23:1 (KJV) - The Lord is my shepherd, I shall not want. - The Bible calls Jesus our shepherd. As our shepherd, Jesus takes care of us in a gentle way and is the example of gentleness for us. Gentleness is not weakness but strength under control. Psalm 23:1 - Jesus is my shepherd and provides everything that I need. Psalm 23:2 - Keeps me safe. Psalm 23:3-4 - His rod and staff gentle guide and discipline me to help me make good choices. - A peach is sometimes the fruit representing gentleness because of its softness. Peaches easily bruise and one must be very gentle when handling them. Make a peach tart allowing the child to help cut up the peaches. Talk about the gentleness it takes to make this recipe. If the chef is too rough, the ingredients will fall apart; yet if the chef doesn't use some force, nothing will be made. Directions: Gently lay the pie crust in a pie plate. Gently spread the cream cheese over the pie crust. Gently cut up the peaches. Place in a mixing bowl with the flour, sugar, cinnamon, and cloves. Gently stir to coat and spoon over the cream cheese. Gently fold the pie crust over the peaches. Bake 450 degrees for 25 minutes or until crust is brown. Top with ice cream or whipped topping. - Sort laundry by color and sort clean clothes by types and by clothing owner. Discuss how the same items can be sorted different ways. - My Dentist, My Friend by P. K. Hallinan is a fabulous book to explain to a child what to expect on a trip to a dentist. - Although you will still need to supervise the child brushing her teeth, allow the child to start the process. To give you child ownership in hygiene, enjoy a fun trip to the store and allow your child to pick out her own toothpaste and toothbrush. Help her put the toothpaste on the brush and encourage the child to "make bubbles" while brushing her teeth. Work up to brushing for 2 minutes or while singing the "ABC's" song twice. Talk about brushing the front, back, top, and bottom softly. Hard-boil an egg by placing the egg in a pot filled with cold water, covering the egg with at least 2" of water. Place the pan on a burner on high heat. Bring the water to a rolling boil. Place a lid on the pan and remove it from the heat to sit for 12 minutes. Drain the egg and immediately place it in a bowl of cold water to stop the cooking process. Then soak the hard-boiled egg in dark soda (Coke or Pepsi) for a couple of hours. 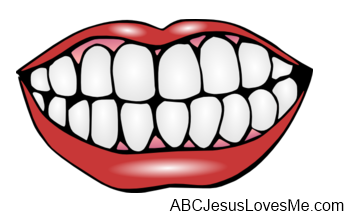 Explain to the child that we all have enamel covering our teeth. The enamel is the outer surface layer on our teeth that protects against tooth decay. Certain foods like starches and sugars can break down our enamel. We brush our teeth to remove the food that hurts the enamel. 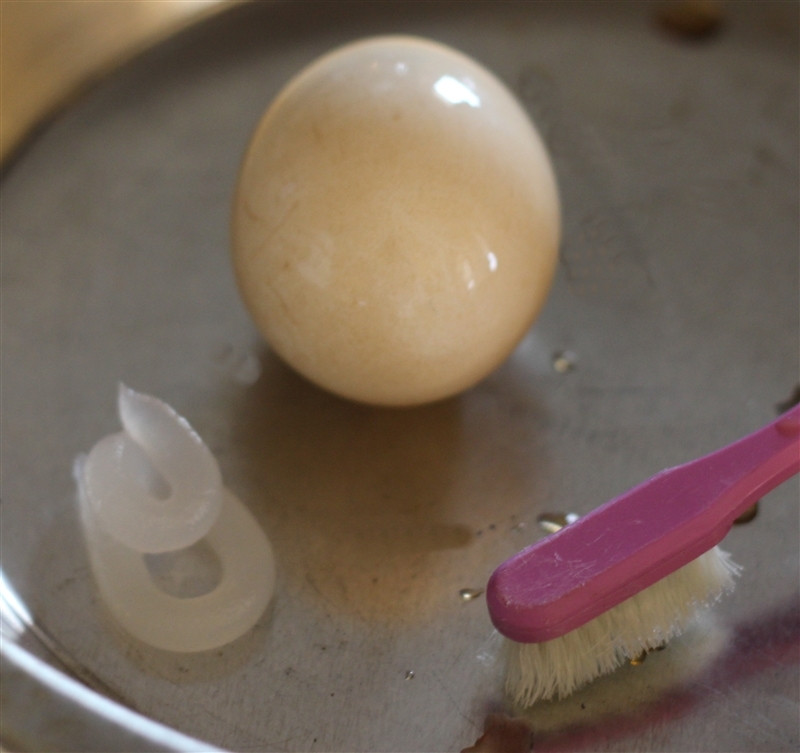 Show the child the stained egg and explain that the eggshell is very similar to the enamel on teeth. Ask the child how you can remove the stains on the eggshell. Place some toothpaste in a bowl and allow the child to brush the stains away with a toothbrush. Tell the child to brush gently as the "egg" requires gently brushing. 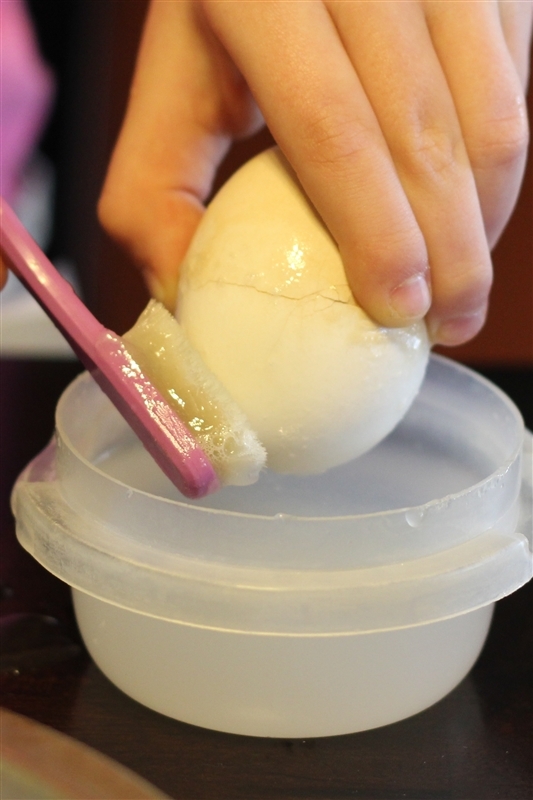 Before the child finishes, examine the egg to compare the difference of where the child has brushed and where he has not. Have a small bowl of water nearby to rinse the egg off. Using a large, long Mega Block, place play dough between the block pegs. 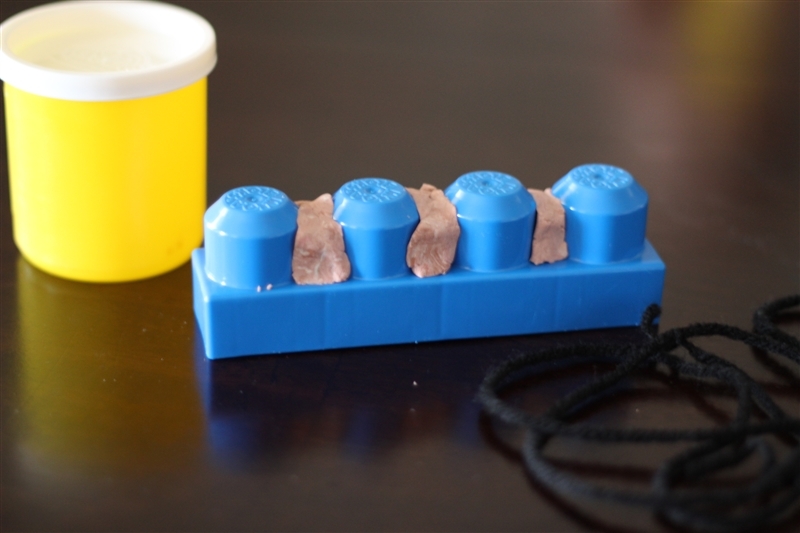 Then, stretch a large rectangle piece of play dough to lay over the top of the block. Show the model to your child and say, "When we eat, food particles gather on and around our teeth. It is important that we remove these particles before they damage the enamel on our teeth." Ask, "How can we remove the particles?" (brush) Ask, "Where on our teeth do we need to brush?" Slowly remove the play dough around the teeth demonstrating the importance of brushing the top and sides. Play dough will be left between the teeth. Ask, "Did we get the teeth clean?" (No) Ask, "How can we remove the rest of the particles?" (floss) Demonstrate how to wind the "floss" around your fingers and saw between the teeth. Also, show the child how to floss along the sides of the each tooth. Using yarn as you would dental floss, allow the child to remove the "plaque" between the "teeth." - Paint the Brush Your Teeth worksheet using an old tooth brush. - Laundry care is an important job that children need to learn. Preschool age is a perfect time to start. Even young children can help with sorting, folding, and putting clothes away. Step 1: Start by training the child to place her clothes in the laundry basket as soon as she takes them off. Step 2: Instruct the child to bring the laundry basket to the laundry room and sort the clothes by color. Start by sorting light and dark clothing. Explain the difference. Discuss what to do with clothes that are both light and dark (a shirt with white sleeves and dark body). Make sure clothes are turned correctly and layered clothes are separated. Step 3: Sorting clean socks is a task most preschoolers can do. Step 4: Start by folding washcloths. Teach the child to match the corners. Work to bigger items. Sometimes laying the item on a low table helps the child learn the process. Step 5: Teach the child to hang up shirts by pulling the hanger up from the bottom of the shirt. Smaller shirts with small hangers are easier for little hands. Step 6: Once the clothes are folded, help the child return the clean laundry to closets and dressers. Train the child to pull the drawer open wide enough to put the clothes in neatly. - Points of Grace: Perfection is not the goal in laundry sorting, folding, and putting away. Training a child to be responsible and have a work ethic is. Keep attitude and effort in mind. Give grace! Use the Rr Writing worksheet and for further learning check out the Letter R Activities. Using several small items, create groups of 0 to 15. - Assist the child in creating a timeline of major events from the story. - Discuss the major events in the story. 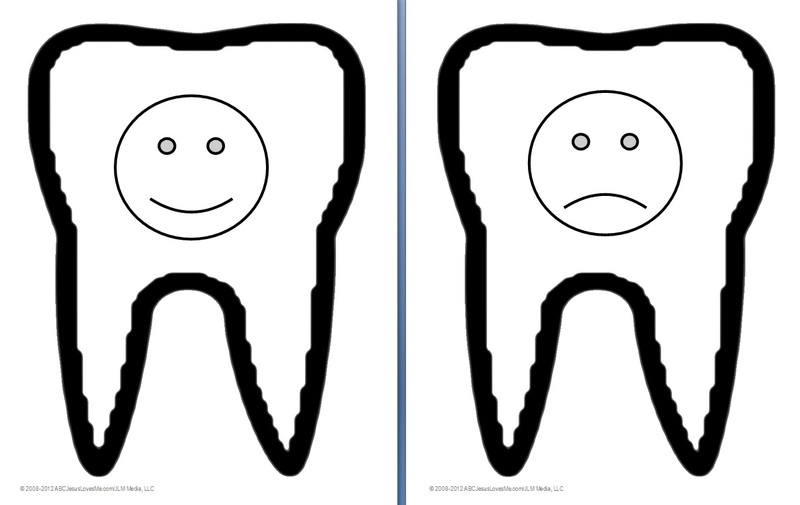 - Use this time to explain that loosing baby teeth allows the big boy/girl teeth to come in. It just means that the child is growing up! 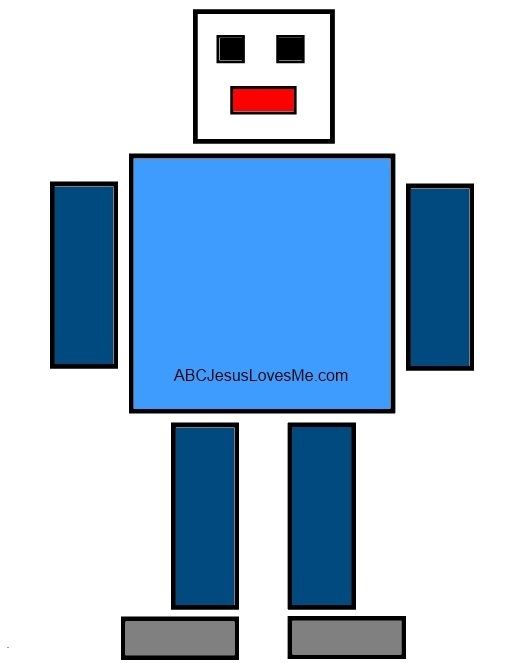 Using safety scissors, cut out the robot pieces on the Cut the Robot Worksheet. Do not show the child the example, rather allow her imagination to put the robot together as she desires. 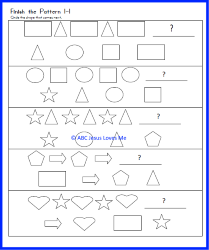 This week focus on the Pattern Visual Perception worksheets and choose which item comes next in a pattern. For additional practice, purchase the Visual Perception Workbook.